Known by his BÖC friends as "Woody," Steve La Cerra began working with BÖC as soundman when regular soundman, George Geranios was unavailable. Woody has quickly gained the respect of both fans and the band with his skill at the board. When he's not on the road with Blue Öyster Cult, Woody serves as Senior Editor for EQ Magazine (eqmag.com), a periodical for project studio enthusiast, which features interviews with musicians, recording engineers and producers as well as reviews and features on the latest gear for studios. Woody also lends a hand at several studios in the New York area, doing engineering, installing new gear and doing the wiring and electrical work. Thanks to his years in recording studios, Woody has developed a great ear, and is also a recording artist. 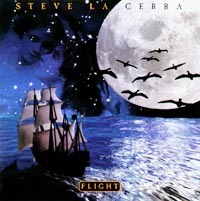 He has released two solo albums so far, "One Step at a Time" and "Flight", and also has another CD with his band Dagger. In 1999, Woody released his second CD, "Flight," which builds on the foundation laid on "One Step at a Time". 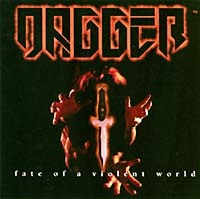 Additionally, Woody's rock band Dagger released their first CD as well in 1999, called "Fate of a Violent World." Woody plays drums with Dagger. These CDs are available from North America Music at a special BÖC introductory rate of $5.00 for one CD (it is a full-length disc with about 45 minutes of music). Read Woody's BÖC Tour Diary!